Don’t let this year’s round of seasonal bugs sabotage your winter plans. Tap into all that nature has to offer and get rid of those annoying symptoms as quickly as possible. 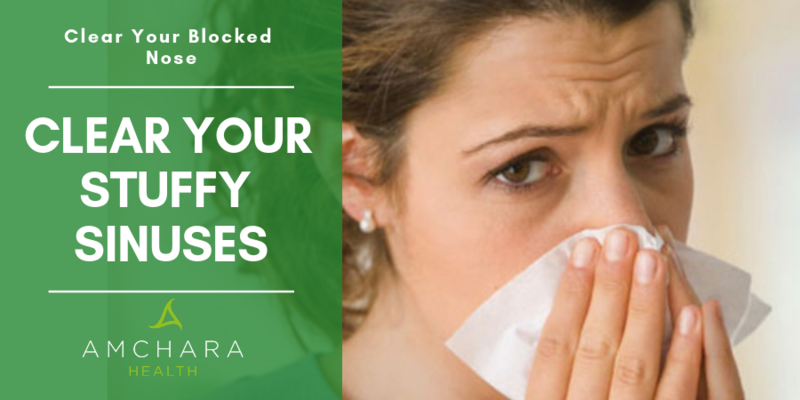 Blocked noses are fairly common this time of year with the colder weather and so many bugs and viruses around. An infection can result in congestion, which may also affect your sinuses and leave you with headaches. You might think having a stuffy nose is just part and parcel of a cold and something you have to just put up with but there are a number of natural remedies that can clear your airways, without having to resort to pharmaceutical drugs that may make you drowsy. 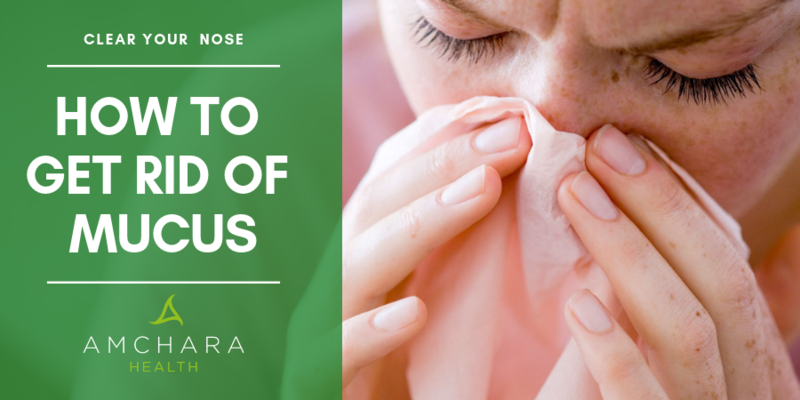 In this article we’ll take a look into what causes a blocked nose, how you can ease inflammation and mucus build-up, how to support your immune system and some take away tips. Watch Kerstie Chisholm / Health Director @ Amchara Health Retreats demonstrate & create a simple, natural mucus cough remedy! The most common and obvious causes of a blocked nose are a cold, the flu virus, an airborne allergy or in some cases a food allergy. Congestion in the nose happens because the lining of the nasal passage is inflamed and mucus builds up. Whatever the cause of your blocked nose is, there are measures you can take to relieve it. Our natural remedies can help to clear your airways so that you can breathe more easily and also support your immune system so that it doesn’t happen so often. Turmeric is well known as a culinary ingredient but is increasingly being recognised for its biological health-boosting properties. Animal studies support the therapeutic use of turmeric as an anti-inflammatory. Quercitin is a member of the bioflavonoid family of plant chemicals and is found in foods such as grapefruit, red wine, apples and onions. The idea of using enzymes might seem strange as these are mostly associated with food digestion, but actually enzymes carry out thousands of functions in the body including breaking down mucus build up. This makes them particularly useful for reducing congestion in the nose and sinuses. Enzymes, such as protease, peptidase, lipase, amylase and cellulase can be found in supplement formulations specifically produced to clear stuffy noses. The Eucalyptus is a fast growing evergreen tree native to Australia. It is a popular decongestant and incredibly effective. The fumes from eucalyptus oil can help to break down nasal congestion and clear the sinuses. To relieve congestion, the oil can be used by placing a few drops on a handkerchief or adding 10 to 15 drops to a vaporiser or some boiling water. For a traditional remedy, it's worth trying a salt pipe. Using salt for respiratory conditions stems back thousands of years, when it was common for people to visit salt caves to clear their lungs and airways. To use a salt pipe you draw air through the mouthpiece which flows over natural salt crystals. The salty micro-climate calms the cells lining the respiratory system and stimulates the natural cleansing process in the airways. The salty air inhaled via the salt pipe thins out and reduces build up of mucus in the nose and sinuses, making it easier to breath and potentially helping to ease sinus headaches. Maintaining a healthy immune system is key for warding off winter bugs. There’s a range of vitamins, minerals and plant phytochemicals that exert powerful therapeutic effects. 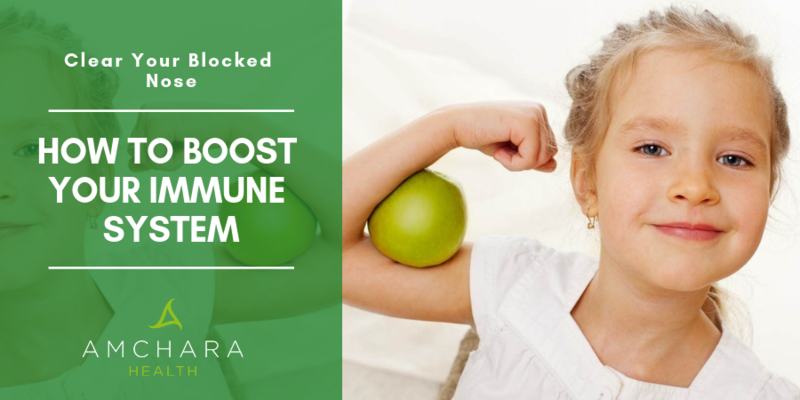 Large doses of vitamin C have been found to assist in the production of substances that are needed to activate the immune system against viruses. Vitamin C has been found to block the pathways that lead to elimination of T-cells that are so important for attacking infection. Vitamin C's powerful antioxidant activities protects cells from free radical damage generated during inflammatory conditions such as colds and flu. Zinc plays a vital role in immune system function and is well documented for its use as a therapy against the common cold. If you want to be sure you have enough zinc in the winter months make sure you eat plenty of meat, poultry, fish, beans and cheese. You may be familiar with echinacea as it is often used around this time of year when colds and flu are lurking around every corner. But if you’re not it’s particularly worth stocking up with some echinacea during the winter season. Although echinacea is grown natively in America it is now also cultivated in Britain. So, in effect, echinacea stimulates an immune response rather than directly killing off the bugs. Research suggests that echinacea works best if taken at the first signs of a cold when it can be most effective. Who’d have thought that something as simple as a mushroom could influence the immune system. But in fact beta glucans, which are constituents derived from mushrooms like shitake, reishi and maitake, have been used for thousands of years in Eastern countries because of their healing properties. Dairy foods such as milk cheese butter and yoghurt can sometimes promote mucus production and may be best reduced or avoided. If you suspect that food may be playing a role in your stuffy nose, it may be worth taking a food intolerance test. This involves nothing more than a simple pin prick blood sample to identify which foods may be problematic. You can find more information about these tests at Amchara Health 360.